The best way to estimate the forecast ability of your models is to conduct backtesting of these models. 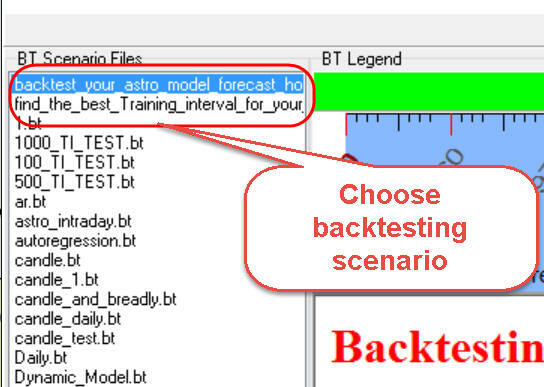 Backtesting in Neural Network (NN) module allows to conduct Walk Forward Analysis (WFA) of models. 2) Forecast Horizon (FH) You have to specify the forecast horizon for your model. 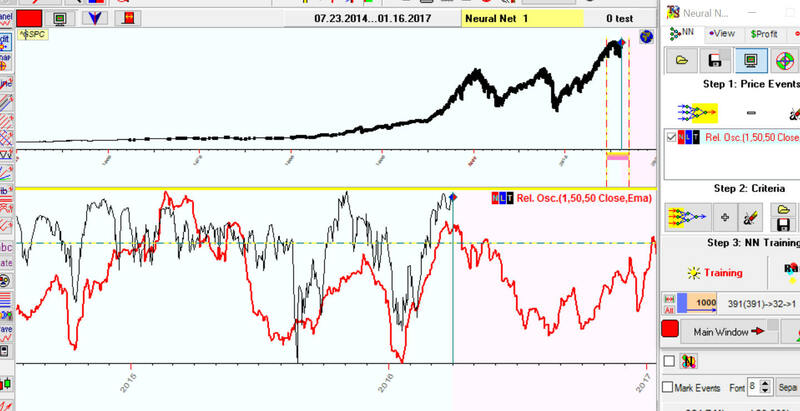 For example, if the model is based on Annual cycle, its forecast horizon is 365 days (or 250 trading days for EOD data). A forecast horizon of Moon phases model is 29.5 years (or 20 trading days, but better use 25 trading days due to statistical reasons). - for cyclical models use as a forecast horizon the period of the most important or the longest cycle. Following this rule the forecast horizon for our dynamic model is one year. For example, to conduct WFA for a dynamic model with the forecast horizon of one year you need to have 30 years of price history at least. The first scenario provides WFA for your current NN model. For example, I've downloaded a dynamic astro model and set training interval to 1500 bars; i.e. to build the projection line, NN uses last 1500 bars (training interval=6 years for EOD data) of the price history, and we will explore how this NN model has performed in terms of WFA. 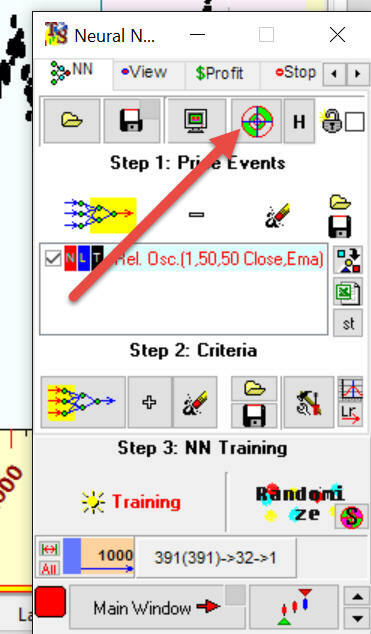 Another scenario allows to optimize a training interval for your NN. For example, we would like to know how many years of price history we should have to get the best projection line: 750 bars (3 years for EOD), 1000 bars (4 years), 2000 bars (8 years) etc.? This scenario helps to answer this question. 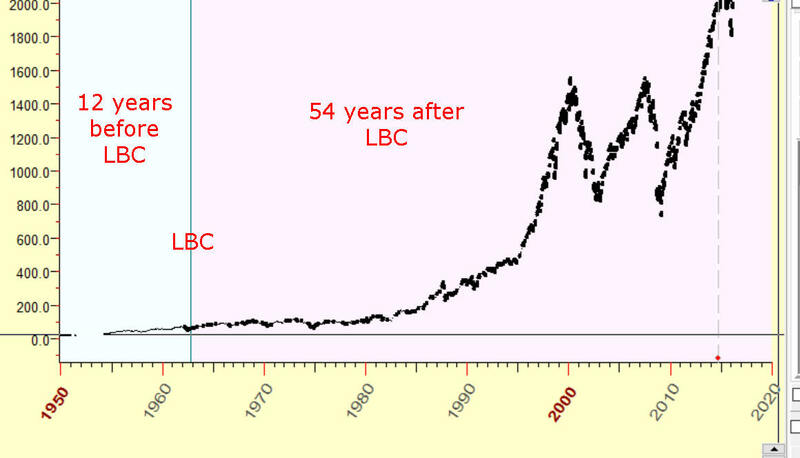 We have 16 years (16 Forecast horizons) before LBC and 50 years (50 FH) after LBC. So the rule #4 is fulfilled. Now click OK and wait while the program performs the backtesting procedure. 6) Reading WFA results. 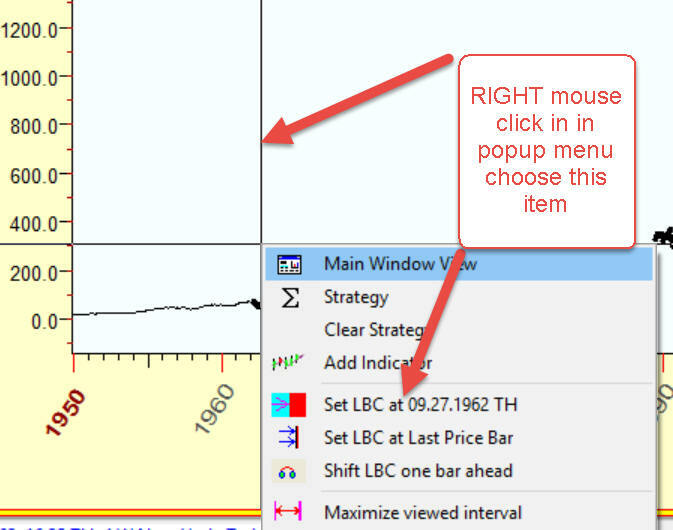 Firstly we recommend to save the backtesting results into a file clicking button. Thus you can open this file any time later and analyze it. To view backtesting results, run BT results viewer following this menu: "Back Testing"->"Neural Network: Backtesting Results Viewer". The first parameter you have to pay attention to is WFE - Walk Forward Efficiency. Look at the second column (training interval = 1000 bars) with the highest WFE +32/-19 (62.7%). etc. for all 51 years. 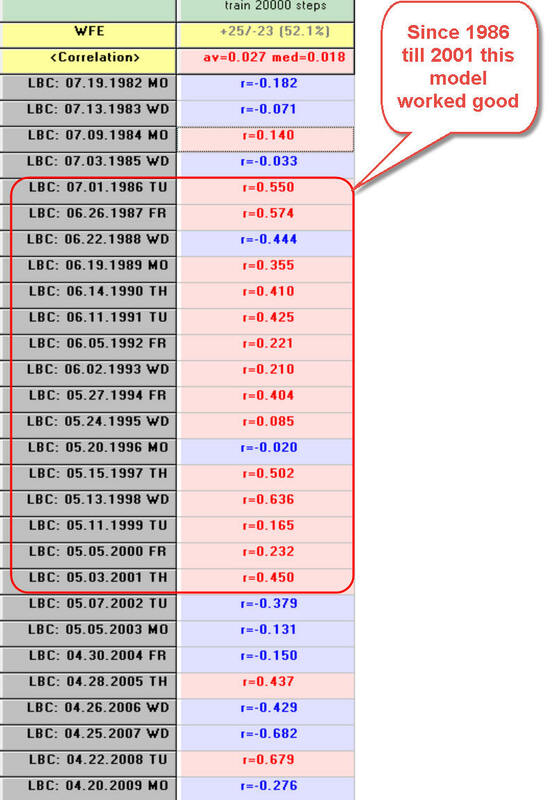 In total, for 32 years NN has provided a good forecast (positive correlation) versus 19 bad forecasts (negative correlation). WFE is 62.7%, which means the percentage of good forecasted years (for this particular forecast horizon). You can also watch the average and median correlation for the analyzed model, these parameters should be positive. For a good model, WFE should be higher than 50% and average and median correlation should be positive. As you see, since 1986 till 2001 this model worked well and after that it stopped working. We don't quite understand the nature of this phenomenon. Maybe this model really works this way: sometimes it works, sometimes not. Impossible... From the point of view of the classical statistics, it is really practically impossible, but not so in finance.